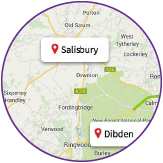 With offices in Salisbury (Wiltshire) & Dibden (near Southampton, Hampshire), we provide professional accountant services & packages for all businesses – “start ups”, growing businesses & established large companies. For new businesses looking to get off to the best possible start. For developing businesses looking to get more from their accountant. For businesses looking to maximise success by having our full service. At Numeric Accounting we believe in a fresh approach that allows us to advise on the things that really matter and add value to your business. We love technology and by using the most advanced accounting solutions available we can offer to provide a partial or fully outsourced finance function, releasing you from this burden and enabling you to spend more of your time building your business. As part of this service, we are able to work closer with you throughout the year providing real time management information and helping you to solve problems and make business decisions. We also believe good customer service and regular communication are essential in building strong business relationships so we work hard to turn assignments around as quickly as possible and to respond to your queries within 24 business hours. 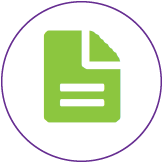 Compliance – Starting From Only £95+VAT Per Month! 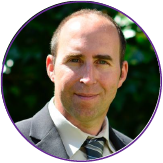 As fully qualified Accountants we can give you peace of mind that you will be kept compliant with the authorities, avoiding pitfalls that cost you time and money. We will also take full advantage of the ever-changing tax laws to make sure you pay as little tax as possible. At Numeric Accounting we can do even more. Why not let us take the bookkeeping and VAT off your hands too so you don’t have to get involved in any of the financial admin, freeing you to concentrate fully on developing your business and making more money. Our knowledge of the latest technologies allows us to do this work in a way that is far more cost effective and to a very high standard – and why not benefit from the efficiency savings by having everything under one roof. Other services we offer our clients include Personal Self-Assessment (and for sole traders), Advanced Tax Planning, Company Audit, Succession Planning, Company Valuations, IR35 and general insurances. Why not look further or ask us a question to see if we can help you. 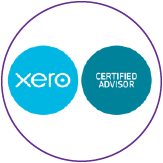 Xero is a new approach to accounting that allows us to work closer with our clients to better understand their needs and advise them on the things that really matter – adding value to their business. The benefits of using Xero are many and include getting paid faster, mobile access, automatic bank feeds and bank rules, reports with the click of a button, unlimited email support from Xero, free and unlimited updates. For more information about Xero and help getting up and running with cloud accounting contact us about our Xero package deals. Our Heritage – established for over 80 years! We are proud of our heritage and the continuity of service that has been provided to our clients over the years and under our old name, Stephenson Sheppard & Co. Several of our staff have been with the practice for over 25 years and provide a depth of knowledge and experience that enables us to understand and fulfil your needs. In a fast moving, changing world, and the increasing impersonal approach being adopted by larger businesses, we believe that our clients appreciate the fact that their affairs are dealt with by staff who they have known for many years and you too will have the reassurance of receiving the same personal service and continuity of service. 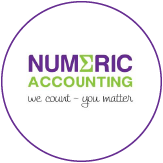 If you would like to be a part of the Numeric Accounting experience then please contact us for a free consultation and quote.